Cuban composer Leo Brouwer, born 1939, was exposed at an early age to Western contemporary and serial music, first in the 1960s while he studied at New York’s Julliard school, and as a visitor during Warsaw’s Autumn Festival in 1961 in Poland, until he became lecturer at Berlin’s Academy of Science and Arts in 1972. 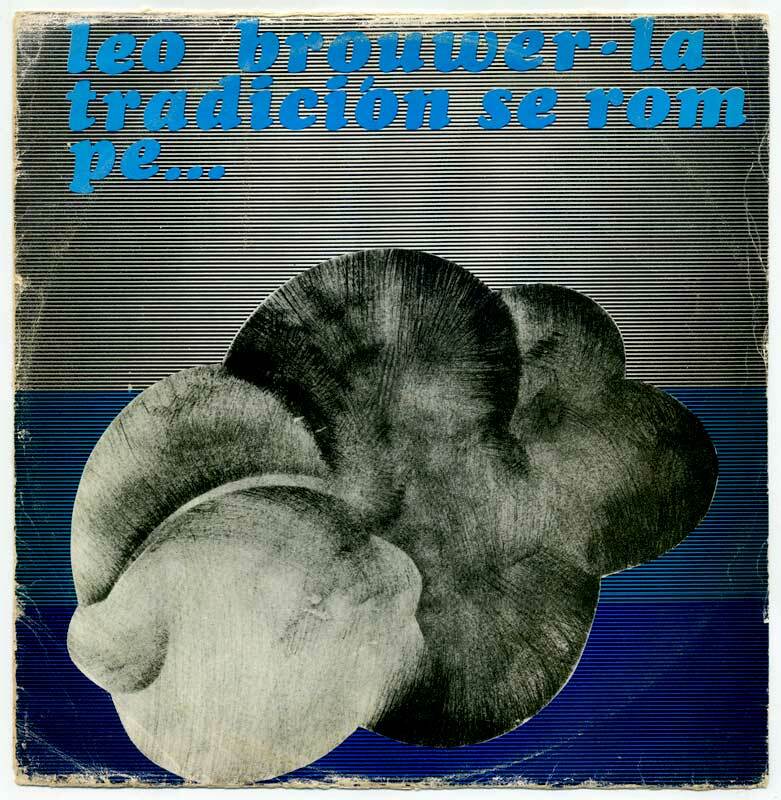 Published in the legendary Coleccion Contemporaneos Cubanos series – which later changed its name to Contemporaneos in the 1980s–, this is probably Brouwer’s first orchestral music recording and a first attempt at a musical sincretism combining Western music with a Cuban idiom. The motto “La musica cubana alrededor del mundo”, or Cuban music around the world, on the record’s label is an indication of such a project. All pieces on this disc date from the 2nd half of the sixties. ♫ Composed in 1967-69 for large orchestra, the opener La Tradicion Se Rompe… Pero Cuesta Trabajo is a vast collage of Western classical and contemporary music (Bach, Beethoven, etc). In his desire to create a musical “magma”, Brouwer mixes a lot of things, and the piece is perhaps more a manifesto a la Luigi Nono, than a real musical exploration. Sonograma III, for 2 pianos, 1968, is a handsome, semi-aleatoric composition for two pianists where indeterminacy is used to create complex, intertwining lines. In Conmutaciones, 1966, the three percussionists move from one instrument to the next around the stage, in a series of lively and playful combinations. Composed 1965, the last work on this disc, Dos Conceptos del Tiempo, for ten players, is an example of Serial music for small ensemble. The sound palette includes electric organ, celesta and xylophone, in addition to winds, strings and piano, contributing to a very approachable music with a typical, warm Cuban sound. 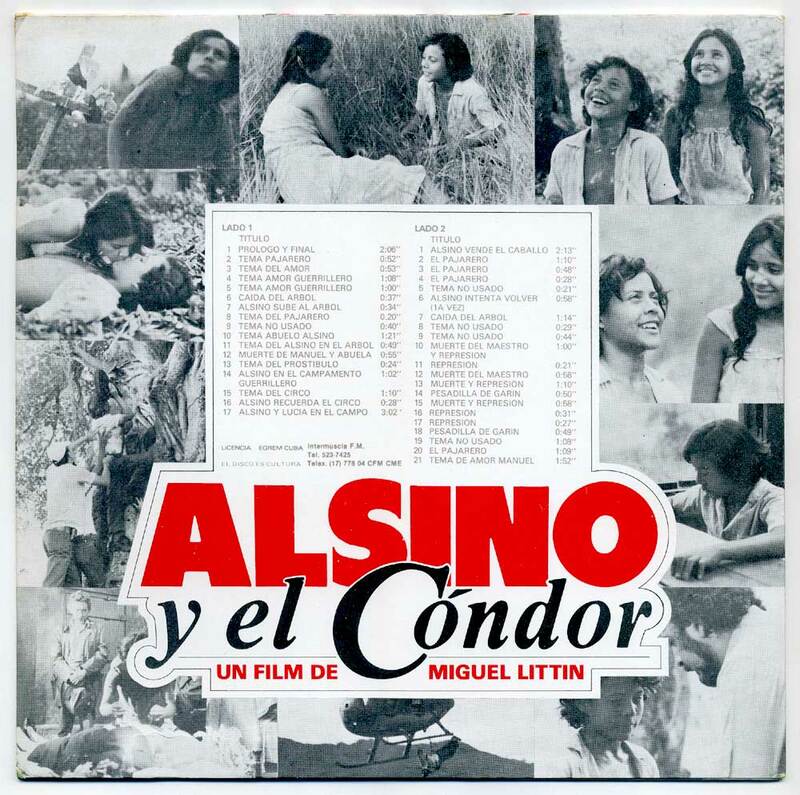 A co-production between Nicaragua, Mexico, Costa Rica and Cuba, the 1982 film Alsino y el Cóndor was directed by Chilean Miguel Littín, who was at the time exiled in Mexico after Pinochet’s takeover in Chile. 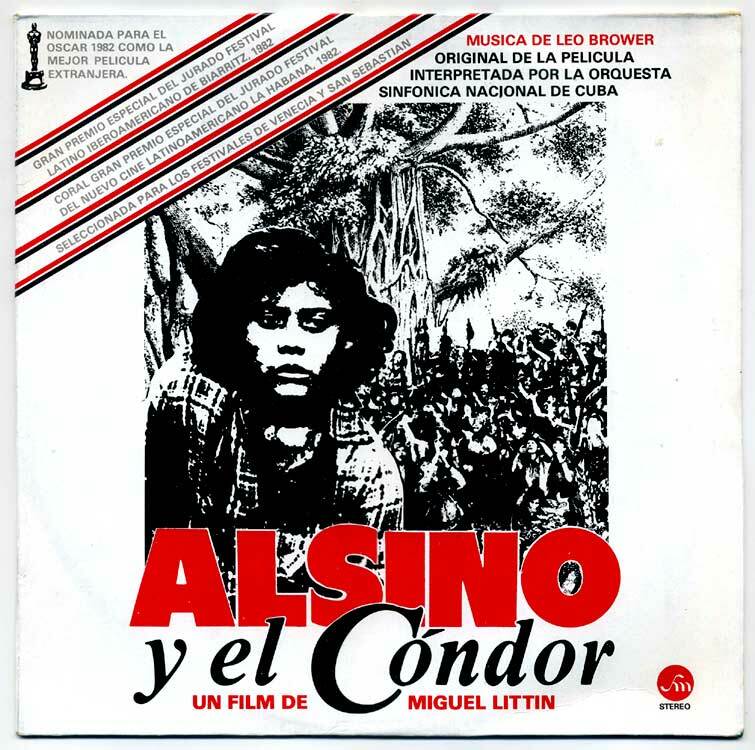 Shot in Nicaragua, the film is a political allegory about a child’s dreams of freedom during the Contras vs Sandinista Junta turmoils in Nicaragua (a detailed description of the film is available here). 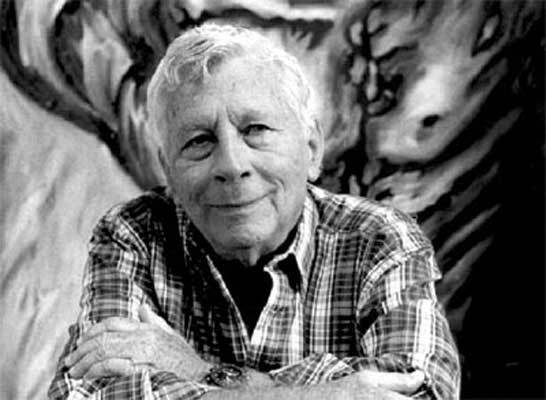 Alsino was widely distributed worldwide and won several international prizes, including an Academy Award in the US. 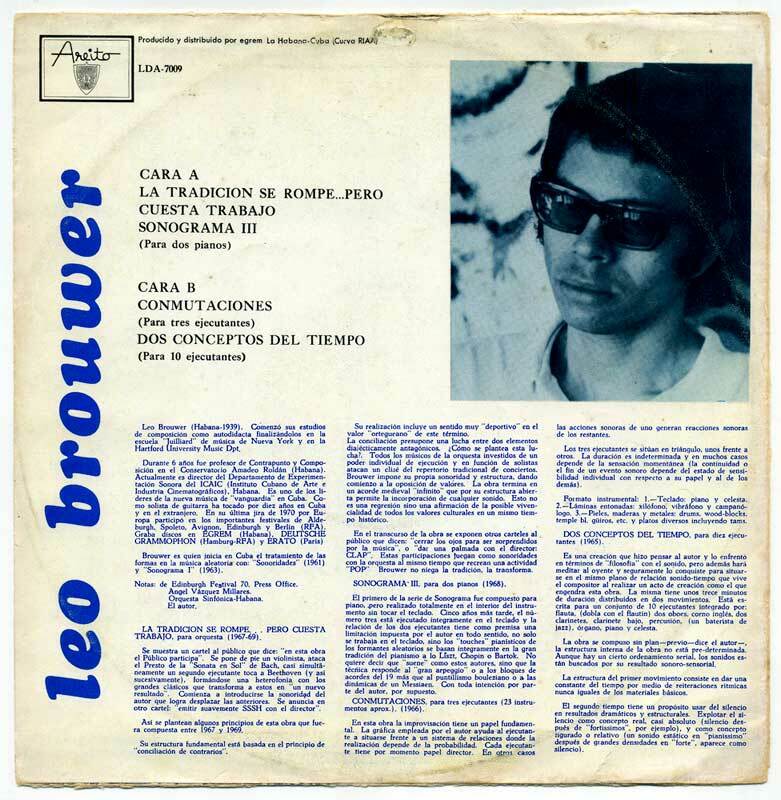 The soundtrack is by Cuban influential composer and director of ICAP Leo Brouwer and was released on LP by Intermusica F.M., possibly in Mexico, under license from EGREM. ♫ Divided into extremely short pieces, between 30s and 1mn, usually, the score is interpreted by the Nacional symphonic orchestra, even if the score often calls for small ensemble playing. The music includes romantic parts from the string section, as well as solo oboe, acoustic guitar and piano parts. A recurring theme is played on a strangely distorted celesta, the instrument made famous by Tchaikovsky’s ballet The Nutcracker in 1892 (and Harry Potter‘s soundtrack!). The celesta and music perfectly conveys the magic realism of the movie and seem less heavy-handed than the film – cf. trailer below. 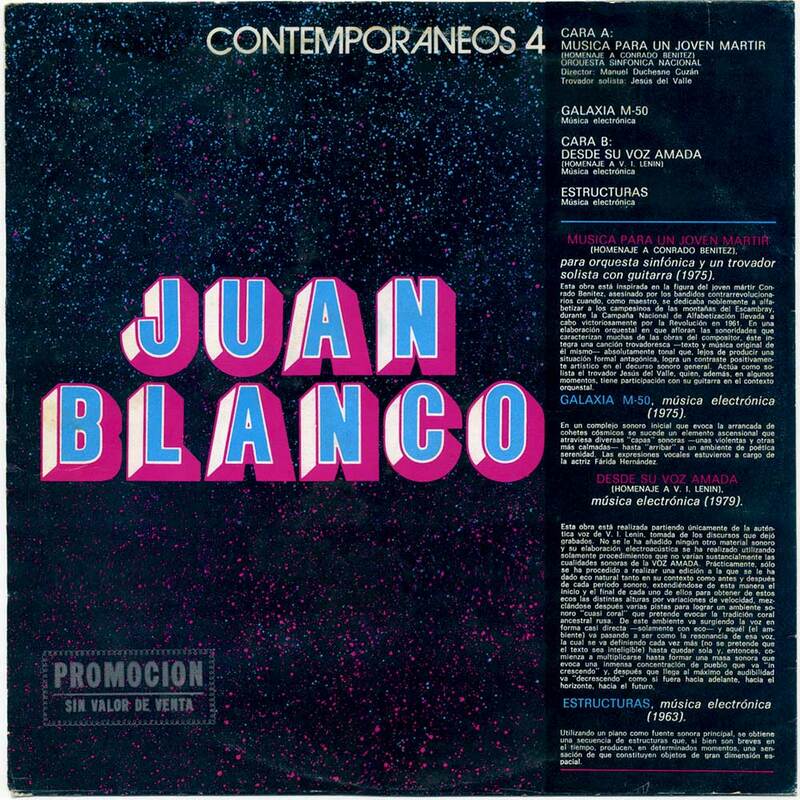 This was Juan Blanco‘s 2nd album after his groundbreaking 1979 debut LP posted earlier. (Note I differ with world-renowned Blanco specialist Neil Leonard on this chronology. My estimation is based on the LPs’ reference numbers.) Regarding Música Electroacústica and comparing the reference with other EGREM releases, it appears it was published in or around 1984. At this time, Blanco (1928-2008) was director of the ICAP’s Estudio Electroacústico. 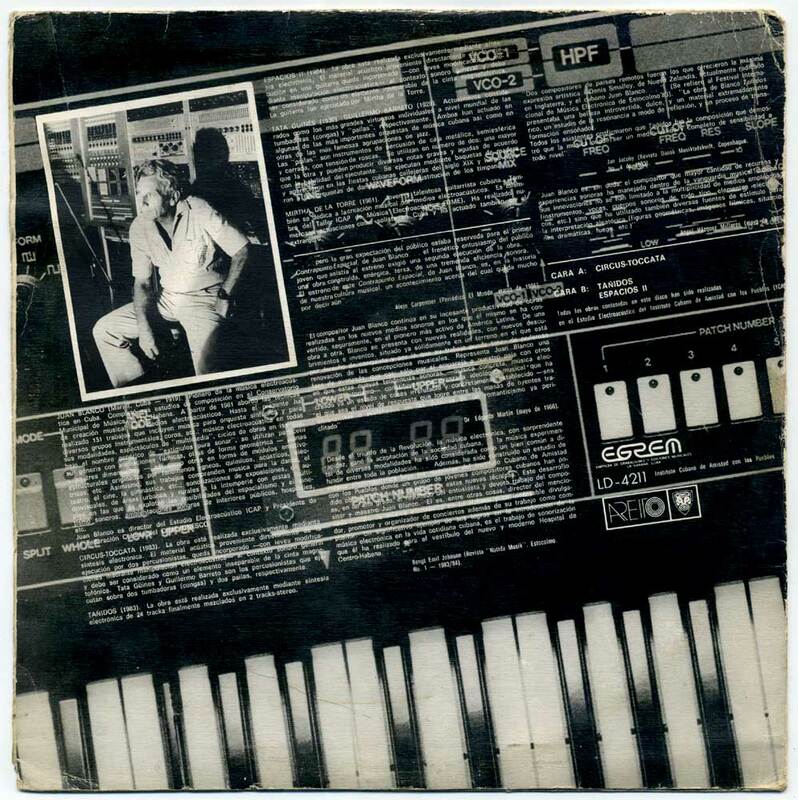 ♫ This LP collects electroacoustic compositions from 1983 and 1984. The paranoid mindscapes of Espacios II, composed 1984, confront a classical guitar with synthesizer sine waves. The guitarist plays repeated notes on an ascending scale in parallel with Blanco’s high pitch synthesizer sounds, which he keeps altering and de-tuning to create a rather unstable effect, like in a Shepard scale. This very simple but clever set-up is incredibly unsettling upon hearing, as the atonal, changing pitch lets the listener undecided for the duration of this otherworldly piece. Like Espacios II, Tañidos, composed 1983, is played on the mighty Roland Jupiter 8 synthesizer – the latter was in production between 1981 and ’84. This expensive synth is the one featured on the cover of the LP. Tañidos means ringing sounds and the sounds crafted by Blanco in this piece indeed recall the pealing of bells, minus the strike. As the piece progresses, the notes’ duration increases until, near the end, they seem to be sustained for ever. These sounds have another specificity: for some reason, they seem to resonate inward, as if an embodiment of Involution. These factors contribute to the stasis-like quality of Tañidos. 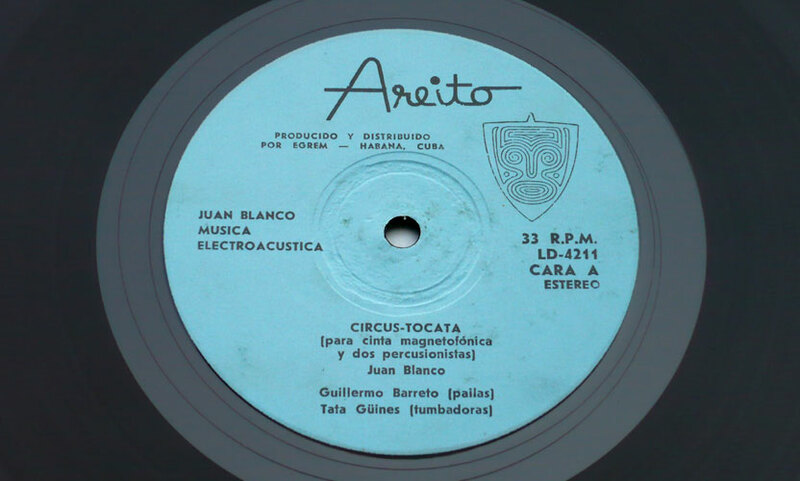 Circus-Tocata, composed 1983, is one of Blanco’s better known compositions, thanks in no small part to the stunning performance of virtuoso percussionists Guillermo Barreto and Tata Güines. During the course of the piece, Blanco insinuates homophonic, synthesizer staccato notes in the interstices left by the percussionists until, when the drums gradually disappear, the synth will ultimately take over with rhythm duties. 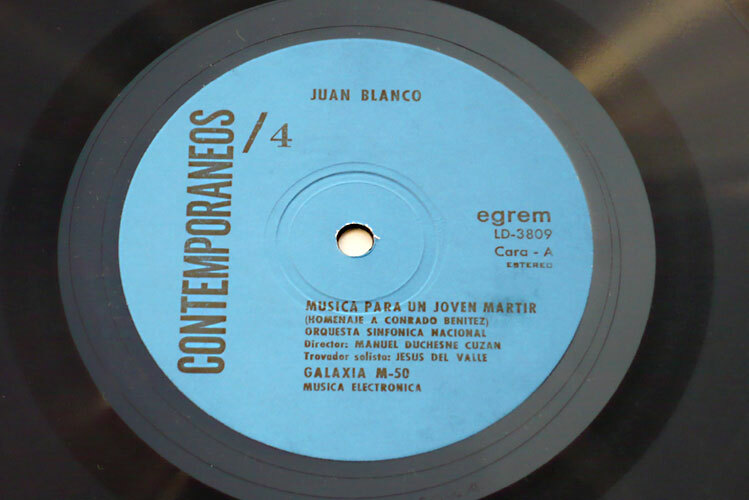 Cuban electroacoustic music composer Juan Marcos Blanco (1919-2008) started composing electroacoustic music in the 1960s and championned the genre on the island as an activist, teacher, concert organizer and promoter. A successful lawyer as well as a clandestine avantgarde music promoter under the Fulgencio Batista dictatorship (1952-1959), Blanco became an official composer under the Castro Brothers’ rule (1959-present), who, for some reason, did not ban avantgarde music. 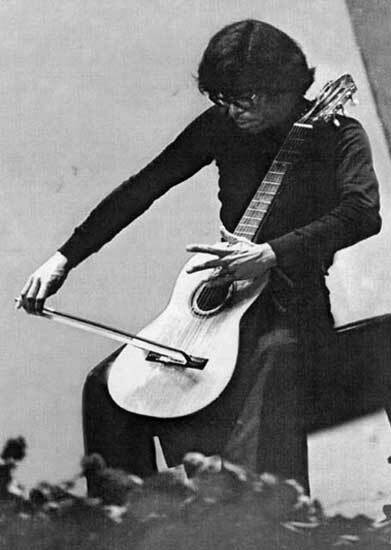 Blanco played his electroacoustic compositions during unofficial performances as early as 1964 (see Neil Leonard). 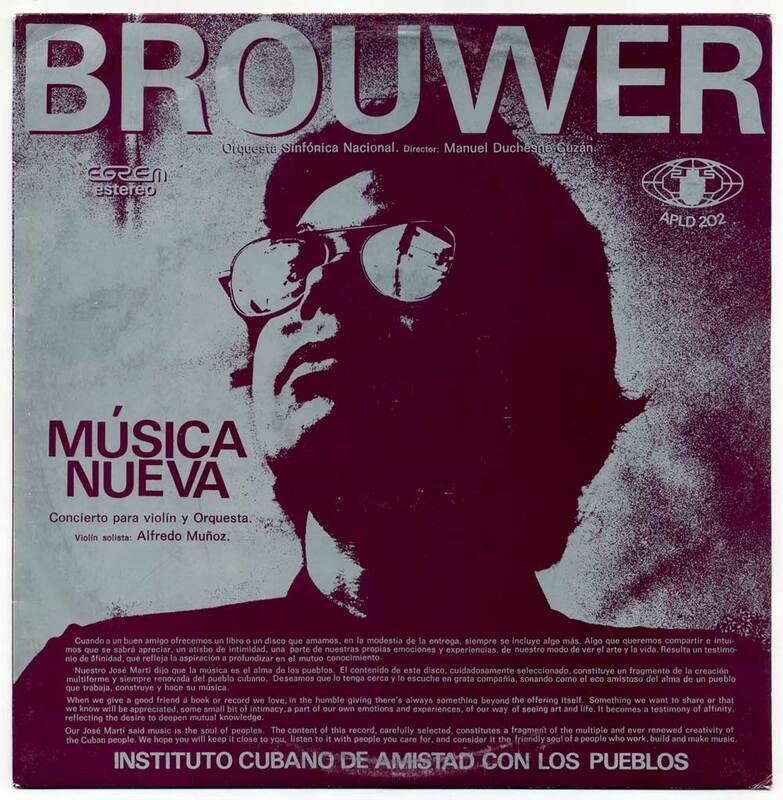 From 1970, Blanco worked as music director for the propaganda’s music section at Instituto Cubano de Amistad con los Pueblos (ICAP), with Leo Brouwer as director. Blanco was later appointed director of the ICAP’s Estudio Electroacústico in 1979. See the UNESCO website for a comprehensive list of Blanco’s music compositions. 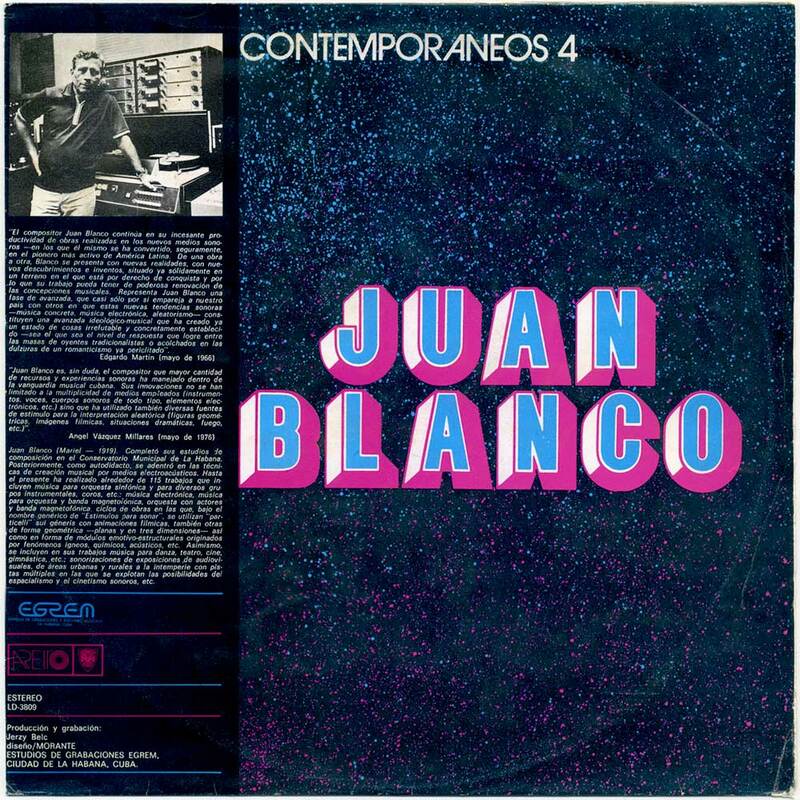 ♫ This untitled LP was Blanco’s first release, published in 1979 (I infer this from the fact track #3 was composed 1979 and from the reference of another EGREM LP, published in 1980, LD 3896 – this one is LD 3809). Anyway, the disc pairs a symphonic composition with 3 electroacoustic pieces, best described as tape music. 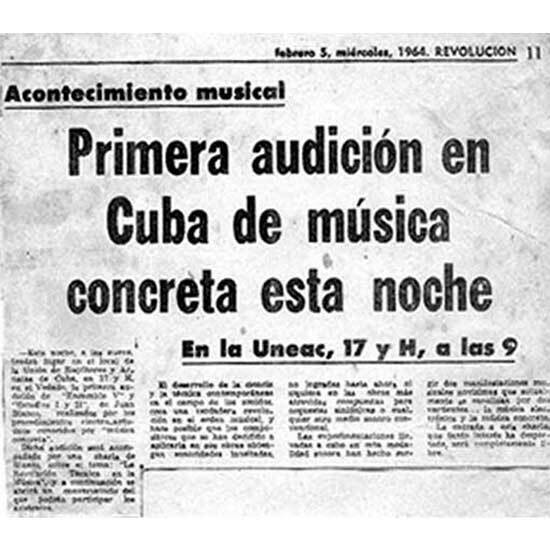 Track #3, Desde Su Voz Amada, is apparently an excerpt from the legendary 30-min piece Blanco wrote in 1970 for the celebration of Lenin’s centennial anniversary in Cuba. The piece is based on the heavily processed voice of Lenin addressing the Red Army. The music starts with unrecognizable, reverb-drenched layers of Lenin’s voice and is anything if not terrifying. When the disembodied voice of Lenin finally appears au naturel, the effect is transfixing. I was reminded of some passages from Bernd Alois Zimmermann’s Requiem for a Young Poet, 1969, with a similar use of archive sounds. Track #1, Música Para Un Joven Mártir, for symphonic orchestra and singer, bears some influence from the Stravinski of Renard and Histoire du Soldat, but it also incorporates Cuban elements like Spanish guitar and vocal improvisation (I assume in the Nueva Trova style). Track # 2 and 4 are musique concrète pieces based on piano and inside the piano sounds, reconfigured into abstract sound sculptures thanks to montage, collage and sound treatment. These tracks are described in the liner notes as Música electrónica but are actually closer to musique concrète, with no electronic sounds involved. LD 4211 = Música Electroacústica LP, 1984? 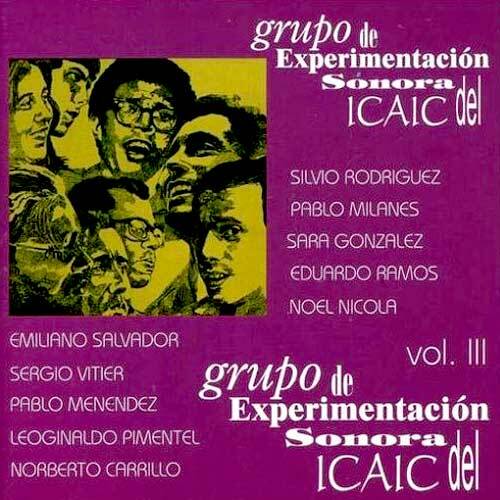 Música Nueva was released on EGREM by the Instituto Cubano de Amistad con los Pueblos (ICAP), a so-called NGO established in 1960 and used to raise international support after the US 1962 embargo. 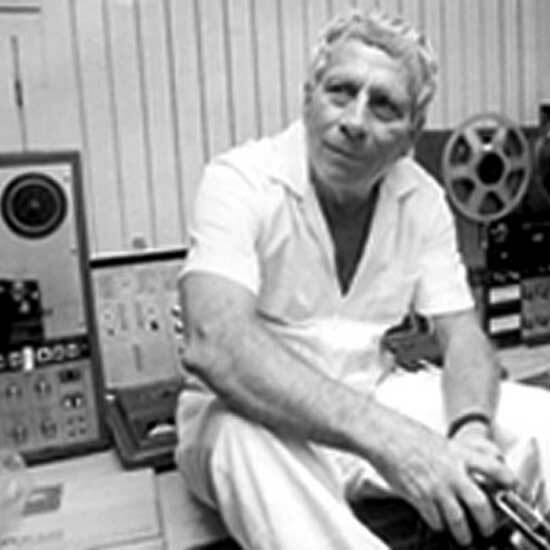 Electroacoustic music composer Juan Marcos Blanco became director of the ICAP in 1970. As with too many other Cuban releases, the LP is undated and years of composition are omitted. 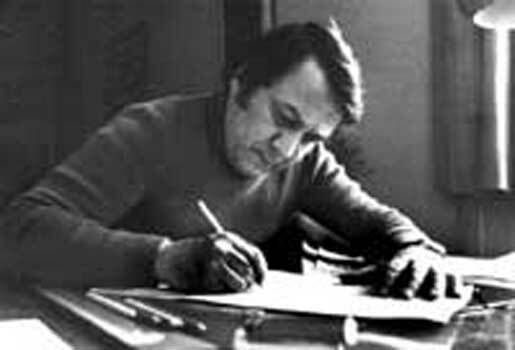 What is known is that Fariñas’ Tientos (presumably Tiento I & II) won first prize during the Biennial for Young Composers in Paris, 1970. Tiento II only is included in this LP. 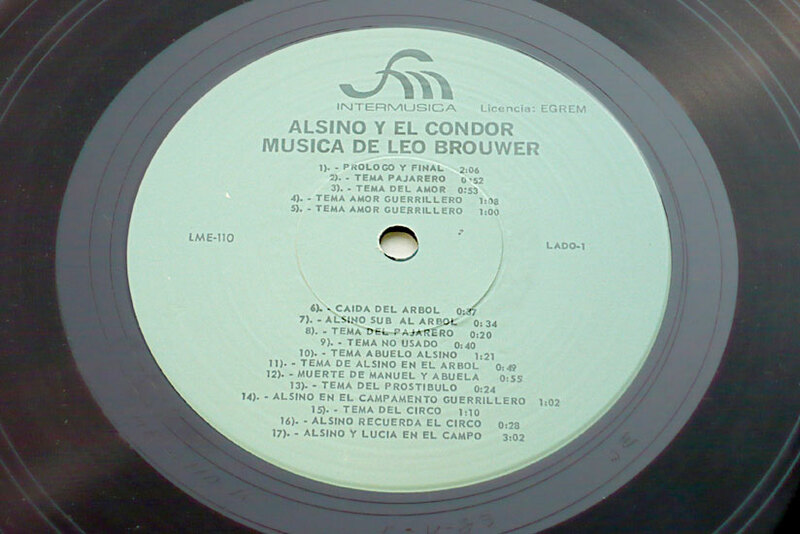 Brouwer’s piece Concierto para Violín y Orquesta was composed 1972. Música Nueva was then possibly released around 1972-75. Leo Brouwer‘s Concerto is a dreamy, semi-hypnagogic affair where the violin delivers hallucinatory traits amid the orchestra’s oneiric sonorities. The music suggests desolate, surrealist landscapes ala Roberto Matta, with implausible lights, color explosions, and out-of-this-world figures typical from the Chilean painter. 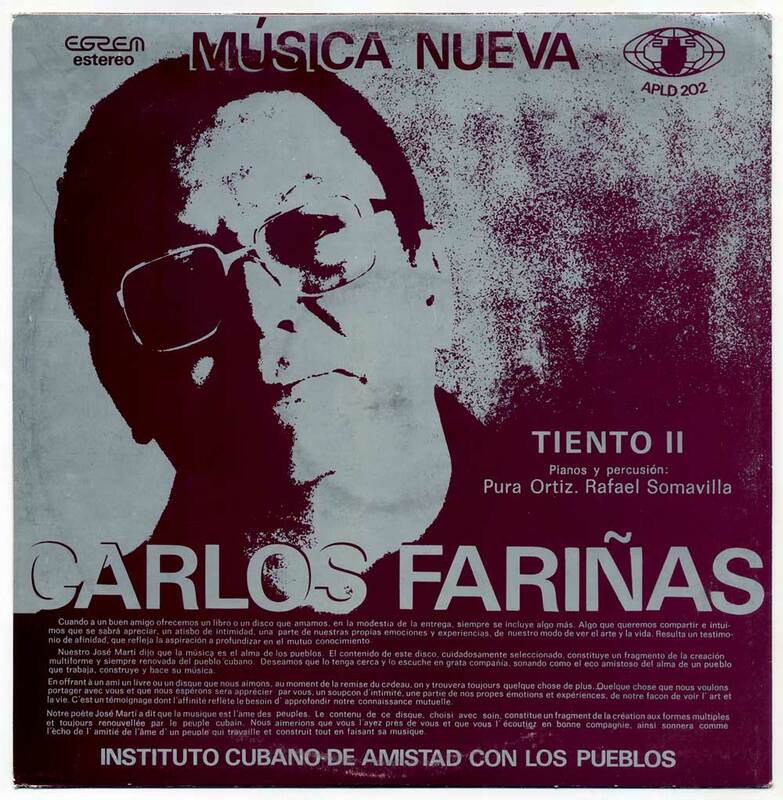 Carlos Fariñas (1934-2002) was a contemporary music composer who turned to electroacoustic and electronic music during the 1980s. He published the Aguas Territoriales – Música Electroacustica LP on EGREM (LD 4230) in 1984. Fariñas founded the Estudio de Música Electroacústica y por Computadoras (EMEC) in 1989, a facility opened to young Cuban composers wanting to compose electronic music. His piece Tiento II on this LP is for piano and percussion. The score makes extensive use of inside the piano and extended piano techniques, while the percussion parallels the unsual keyboard playing with semi-aleatoric sounds from a variety of instruments. The piece deliciously sounds like early AMM, ca. 1966. Conductor Manuel Duchesne Cuzán and composers Juan Marcos Blanco, Leo Brouver and Carlos Fariñas were the main members of the Vanguardia Musical of the Sixties that introduced contemporary music in Cuba. Cuban novelist Alejo Carpentier was also instrumental, bringing a copy of a Pierre Schaeffer book from a trip to France in 1959. Most avantgarde Cuban composers also worked for the ICAIC (Instituto Cubano de Arte e Industria Cinematográficos), the state-owned film society who controled film releases and festivals. The ICAIC was one of the first official institutions created after the 1959 Cuban Revolution, with Fidel Castro as Prime Minister. Leo Brouwer (born 1939) founded the ICAIC’s music department in 1960 and the Grupo de experimentación sonora del ICAIC in 1968, a workshop/studio where Brouwer himself and other composers recorded film and documentary soundtracks. The renaissance of Cuban folk song with progressive elements, the so-called Nueva Trova, also emerged from the Grupo de experimentación in the late 1960s. 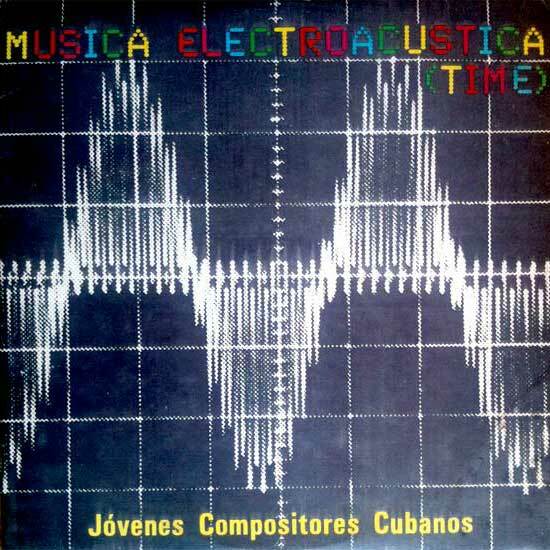 Electroacoustic music pioneer Juan Marcos Blanco (1919-2008) was aslo a key figure of the Cuban electronic scene and played his electroacoustic compositions during unofficial performances as early as 1964 (see Neil Leonard). A Música concreta concert performance occured in 1964 in La Habana, as pictured above. The first Cuban electroacoustic LPs were released in La Habana around 1980 by state-run company EGREM (Empresa De Grabaciones Y Ediciones Musicales). 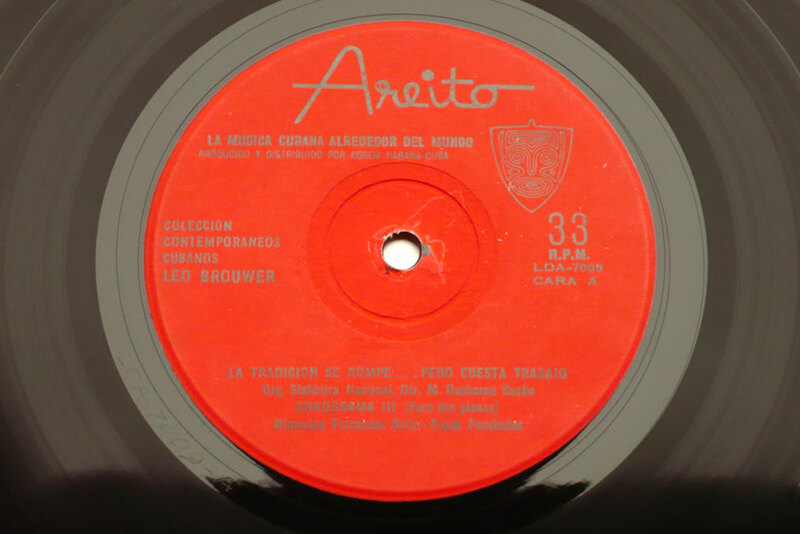 EGREM merged several Cuban record companies, including Areito. In addition to Blanco’s solo releases, EGREM released several compilation LPs by composers working at the Estudio Electroacústico, such as Música Electroacústica in 1984, with works by Juan Piñera y Edesio Alejandro, Julio Roloff, Juan Marcos Blanco (posted here and highly recommended). 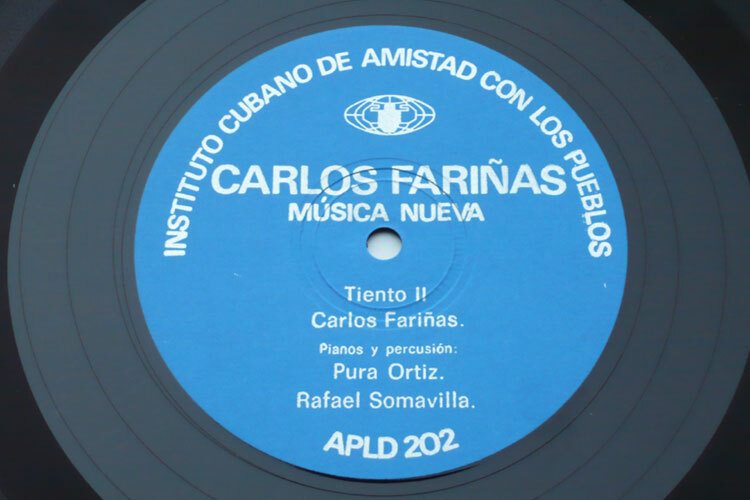 Various Cuban avantgarde pressings are scheduled on this blog in the following days/weeks. 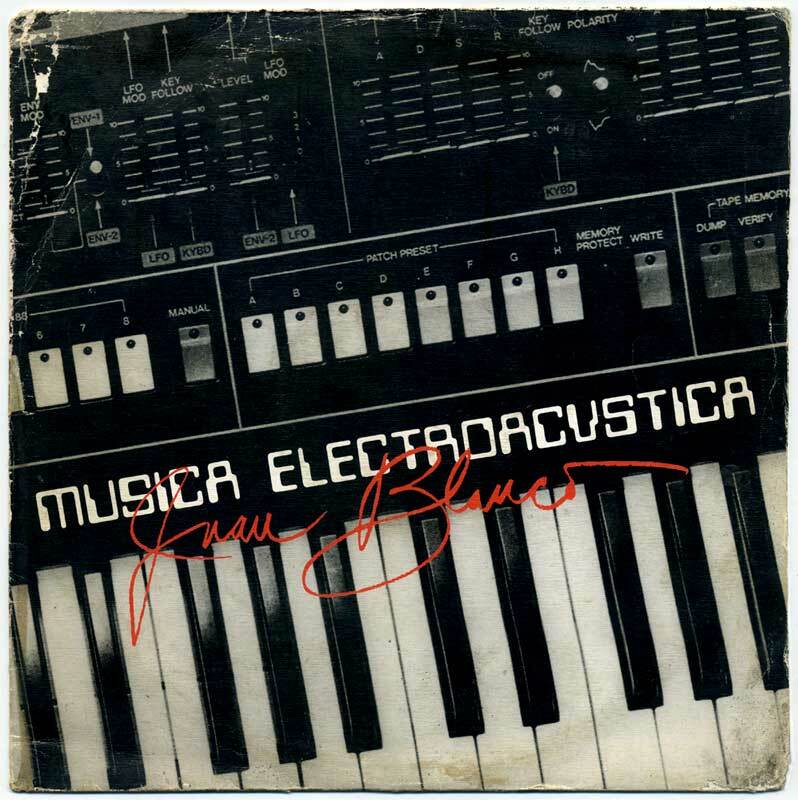 LD 4211 = Juan Blanco “Música Electroacústica” LP, 1984?